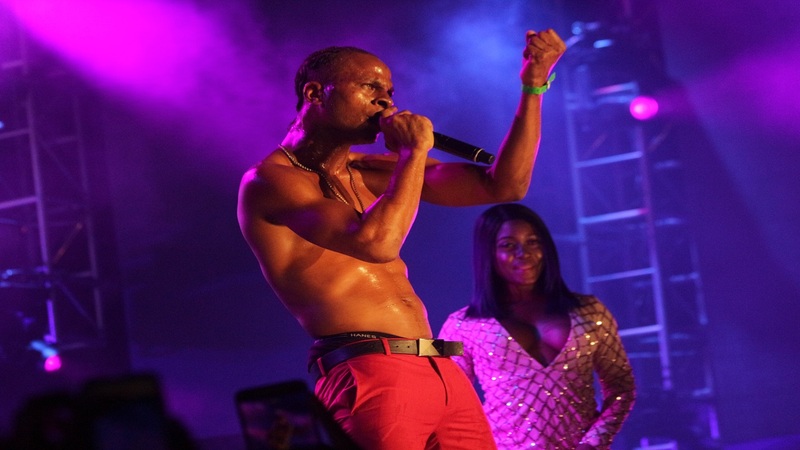 Dancehall artiste Dexta Daps delivered what some have described as an "epic" performance at the Jacques Scott parking lot on Friday night (July 28), despite falling a few feet from the stage into the crowd. The artiste brushed himself off , with the help of his fans, and continued performing like nothing happened. Dexta Daps, who is wildly popular among the ladies, had the majority female crowd screaming his song lyrics into the wee hours of the morning - talk about 'owning' the night!